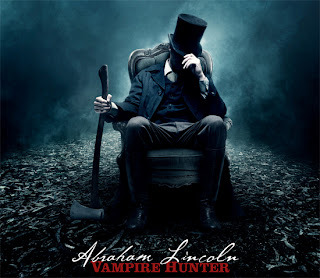 Trailer for the upcoming film Abraham Lincoln: Vampire Hunter in theaters June 22nd. Seems that Fox studios has issue with sharing the clip so hit the link to view the trailer to the Tim Burton produced film. The wicked voice-over track The Man Comes Around is performed by the original Man in Black, Mr. Johnny Cash. His haunting piece also provided the perfect atmosphere for the powerful opening credits of the 2004 remake of Dawn of the Dead by Zach Snyder.